There Are Many Time Killer Games Available On Google Play Store. But Only A Few Of Them Really Worth. Today We Are Sharing Top Best Time Killing Games That You Should Have To Play On Your Android. Some Of The Games Are Paid While Some Are Free. So, Please Read Full Post. Drag’n’Run Is A New Android Game By AxesInMotion Racing[Developer Of Popular “Extreme Car Simulator Game]. In This Game, Your Goal Is To Collect Coins Spread In The Air. You Boost The Speed Of Car Wih Nitro And Fly In The Air. Collect Coins And Use Them To Get Boosters. Download – Here. 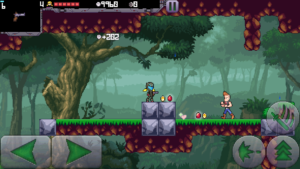 Cally’s Caves In One Of The Best Addictive Action-Platformer Game In Which You Slay Down Bad Guys With Dozens Of Weapons. It Comes With Regular, Survival, And Qwerty Zone/Mode. Each Zone Has Own Difficulty Level And It Is Too Amazing And Time Killer. Learn More About Cally’s Caves 4 Here. It’s A New Arcade Android Game And A Great Time Killer Too. You Have To Destroy Asteroids, Meteors Falling Down From The Sky. You Release Your Rockets To Destroy Them Before They Break The Last Point. Read More/Download. Beat Street Is A New Retro Fighting Game By Luck Cat Studios. You Are The Hero Of City And Help People From Bad Guys. You Fight With Bosses, Bad Guys And Manage Peace In Your City. Read More/Download. Drag’n’ Boom Is One Of The Highest Rated Game On Google Play Store[4.9]. You Play As A Naughty Young Dragon And With Fire Balls You Kill Knight’s Men. This Game Is Full Of Fun, Great Time-Killer. Read More/Download. Become A Legend: Dungeon Quest Is A Platformer Game Which Is Quite Different From Other Platformer Games On Gameplay Basis. It’s Too Hard Because Of Many Hurdles. Your Goal Is To Reach The Final Point. You Have Limited Health-Can You Complete The Mission? Read More/Download. If You Love Shooting Game, Then This Game Would Be The Best Option For You. It Is A Retro Style Shooting Game With Dozens Of Levels And Hours Of Gameplay. You Shoot Bad Guys With Guns, Break Walls/Blast Oil Tanks With Your Guns And Complete Missions.Read More/Download. Bonus – Three New Mini-Games – Google Play Games App Now Have Three Built-In Mini Games – Check Out. It Is A Great Simulation Game In Which You Experience The Struggle Of Civilians Trying To Survive In A War-Torn City. This Game Provides You A Complete Experience Of War Seen. Can You Survive? You Should Play This Game. Price-Almost $14. Download: Here, Size – Under 500 MB(473). It Is Similar To Above Mentioned Game But There Is No War Type Experience. Your Only Goal In This Game Is To Survive As Long As You Can. Create Your Family, Take Care Of Them And Survive. Learn More About Sheltered, A Survival Game.[Paid]. It Is A Great RPG Game With Excellent Graphics. In This Game, You Play AsNeku Who Wakes Up In A Crowded Intersection, Alone, And Unaware Of How He Got There. This Game Comes With An Expensive Price Tag, But Worth Every Penny. Addictive+Exciting+Ultimate. Price – Almost $19. Download: Here. In This Game, You Play As A Young Naughty Dragon, To Increase Your Treasury Gold, You As A Dragon Kill Enemies With Fire Balls And Steal Their Gold. Price – Free. Learn More About Drag’n’Boom Game. Stop It Is A New Time Killer Game In Which You Have To Complete 7 Challenges. Some Of the Challenges Has Up To 60 Levels. Your Goal In This Game Is To Stop Clock At Right Time. Price – Free, Learn More About Stop It Game. 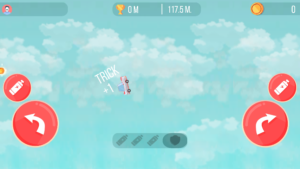 In This Game, You Play As Supermonkey And Fly Over The Cloud. Destroy All Balloons With Power-Ups, Weapons. Over 50 Levels Are Available In This Game. Learn More About This Game[Paid]. Another Time Killer Game, Comes With A Great Design. You Play As A Cat, Explore Different Types Of Arenas. Your Goal Is To Find Your Sister. Collect Coins, Explore Hidden Places. Learn More About This Platform Game. This Zombie Game Is No Doubt One Of The Best Adventures, Action Game. You Play As A Random Player With A Buddy Who Follows You. Your Goal In This Game Is To Kill Zombies. Learn More About Death Road To Canada[Paid]. This Is The Second Part Of Finger Munching Game That Comes With New Monsters, Obstacles. Learn More[Free]. This Is Another Time Killer Action RPG Game. You Can Play This Game Offline. There Is 3 Playable Character In This Game. Your Goal Is To Protect Villagers From Monsters. Learn More[Free]. One Of The Best Cutest Game, Love You To Bits Is A Paid Game. It Is A Point-Click Adventure Game. In This Game, You Will Follow The Journey Of Kosmo. Explore Strangest Worlds And Planets. Learn More[Paid Game]. It Is A New Addictive Puzzle Game With Tons Of Levels. You Have To Follow Some Rules And Start Solving Puzzle. Learn More[Free Game]. It Is A RPG Game In Which You Kill Your Enemies With Poisons, Meteor Strikes. Over 100 Items To Collect And 30+ Levels, Boss Battles. Price – Free. Download: Here. It Is A Retro Style Addictive Shooting Game In Which Dozens Of Guns, Arenas Are Featured. In This Game, You Play As A Shooter And Shoot All Those Enemies With Powerful Guns. Learn More[Free Game]. In This Game, You Play As Summoner Who Steal The Treasury Of King. After It, King Orders Their Soldiers To Catch You. Your Goal Is To Attack On King’s Men With Monsters. Learn More[Free Game]. In This Game, You Play As A Detective And Complete The Missions By Finding Clues, Exploring Different-Different Places. Learn More[Free Game]. In This Game, You Have To Defend Your Treasury From Bad Jellies. You Have To Place Towers Which Attack On Bad Jellies. It Is A Great Time Killer Game. Learn More[Free]. Monogolf Is A Light Size, Time Killer Game For Android In Which Your Goal Is To Hit The Golf Ball To Hole In One Turn. Learn More[Free Game]. Letterpress Is An Addictive Word Game. In This Game, You Have To Form Long Words From Letter Tiles. If Opponent Lose All Letter Tiles, You Wil Win. Learn More[Free Game]. In This Game, You Have To Balance The Stack Of Sacks. Play This Game And Know How Long You Can Balance The Stack Of Sacks. Learn More[Free Game]. In This Game, Your Goal Is To Take Care Of Your Pokemon. This Game Is Specially Made For Kids. Learn More[Free]. It Is A Multiplayer Car Racing Game In Which You Play As A Dude Initially. Later You Can Change Your Avatar. Learn More[Free Game]. It Is Another Car Racing Game In Which Dozens Of Racing Tracks, Game Modes Are Available. Learn More[Free Game]. In This Game, You Have To Control Your Car Machine And Attack On Other Cars. Play Live Mode To Enjoy This Great Game. Learn More[Free Game]. This Is A Side Scrolling Fighting Game, Full Of Action. In This Game, You Play As A Kung Fu Fighter. There Are 37 Challenging Stages To Clear. Price-Free. Size-26MB. Download: Here. It Is An Action Platformer Game. You Play As Xolon, A Young And Brave Man Who Fight For Justice. There Are 30 Adventures Levels, Over 30 Enemies Like Zombies, Flying Creatures, And Giants. Price-Free, Size-28 MB. Download: Here. Spout Is Your Spaceship In This Game. Your Goal Is To Go As High As Possible To Reach The Outer Space. It Is A Time Killer Arcade Game. Price-Free. Download: Here, Size-12 MB. It Is An Endless Motorcycle Racing Game For Android. Tilt, Slide, Touch, And Gamepad – Controls. The Faster Your Ride The Faster Your Score Will Rise. Download: Here, Size – 54MB, Price-Free. It Is A Great Time Killer Strategy Based Game With Excellent Graphics. In This Game, You Play As Brad. Navigate Your Party Through The Hordes Of Enemies. Attack, Dodge, And Prevent Them From Destroying Your Town’s Crystal. Download: Here. Price-Free. Size-46.81 MB. It Is One Of The Best Time Killer Racing Game For Android. Graphics Of This Game Are Excellent. Download: Here, Price-Free. Size-192MB. It Is An Awesome Time Killer Arcade Game. With Brilliant Design, Great Gameplay, This Is No Doubt One Of The Best Paid Time Killer Game. Download: Here, Price-$3, Size-25MB. It Is Quite Popular Game Adventure Game For Android. In This Game, You Build Your Sweet House, Battle With Enemies. Explore The World And Unlock Over 500 Craftable Items. Price-$5. Download: Here. It Is Another Arcade Game With 7 Endless Levels. In This Game, You Control A Plane. Speed Of The Plane Is Very Very Very Fast. You Should Play This Game. Download: Here, Price – Free. Size – 32MB. It Is A Sword-Slashing Action Game In Which You Are A Ninja. Your Goal Is To Defend Your Forest From Bad Guys. It Is Really Nice Game. Download: Here. Price – Free, Size – 92MB. It Is An Action Game In Which You Defeat Warriors, Archers, And Mages. Download: Here. Price – Free, Size – 23MB. In This Game, You Play As Ninja And Your Goal Is To Survive. Waves Of Enemies Will Attack On You With Their Swords. Show Your Ninja Skill By Killing Them. Download: Here. Price – Free. Down Well Is A 2D Platformer Vertical Rogue-Like-Action Game. In This Game, You Explore Creatures, Mysterious Secrets To Collect The Red Gems Scattered About The Rocks. Download: Here. Price – $3. Size – 47MB. It Is Quite Popular Arcade Game On Google Play Store With Over 10 Million Downloads And 4.5 Rating. Control Two Vessels In Sync, Keep Calm, Survive Against Odds. Download: Here, Size – 57MB, Price – Free. This Is A Game Based On Fishing Tasks. Unlock New Weapons, Explore Seas, Hours Of Gameplay. If You Are Looking For A Best Fishing Game, Then Must Try This One. Price – $3. Size – 35MB. Download – Here. In This Arcade Game, You Control A Ship With Two Buttons. One Button To Rotate The Ship Clockwise, And Another Button To Rotate Anti Clock Wise. Your Goal Is To Pass Away Through Gates, Without Crashing Into Them. Download: Here. Size – 29MB. Price – Free. It Is An Addictive Strategy Game In Which You Embark On Epic Journey. Beware Of Wild Beasts, Eerie Creatures. Download: Here. Price – $5. In This Game, You Have To Match The Flower Tiles Of The Same Color. It Is Similar To Candy Crush Game. Previous Part Of This Game Hits 10 Million Downloads On Google Play Store. Learn More[Free]. Cat Quest Is A Great Adventure Game In Which You Have To Save Cat World. You Play As Hero. Explore The Open World, Kill Monsters. Learn More[Paid Game]. ICEY Is A Great Action In Which Your Only Goal Is Kill Zudost. Your Character Does Not Have Past, Memory. This Game Is Full Of Action. Learn More[Paid Game]. This Part In A Short Time Hits Over 1 Million Downloads. Developed By Famous Developer Rebel Twins. Your Only Goal In This Game Is Destroy Everything.Learn More[Free]. In This Game, You Build Your Kingsman Base. Defend It. Engage In Fierce Combat. Explore Enemy Hideouts. Learn More[Free Game]. In This Game, You Explore Mysterious Nono Islands, Avoid Dangerous Traps, There Are Five Different Heroes Available To Choose From. Size – 71 MB. Price – Free. Developer – Illusion Labs. This Is One Of The Best Time Waster Game. Play In Multiplayer Mode And You Will Forget Everything Around You. Just Kill Your Friend’s Character With Weapons. Download Size: 45 MB, Price – Free. Developer – Appsomniacs LLC. It Is A New Puzzle Game In Which You Solve The Puzzle By Making The Shape That Show At The Top. Can You Make? Find Out By Downloading This Best Time Killer Puzzle Game. Download Size – 36.79 MB, Price – Free, Developer – Boomster Studio. It Is A Combat Game Where You Time Each Attack For Maximum Effect. You Jump, Evade Enemy Throws. Wait For The Right Moment To Throw Your Weapons. Many Types Of Weapons Are Available To Choose In Batlle Against Boss. Download Size – 48 MB, Price – Free, Developer – Craneballs. Upcoming – Mighty Battles, Light A Way, Naruto X, Monument Valley 2. For More Game Updates, Like Our Facebook Page – MrGuider, Follow Us On Twitter – @techhuntr, Subscribe Us Via Email. If You Have Any Game Suggestions, Please Submit Here.